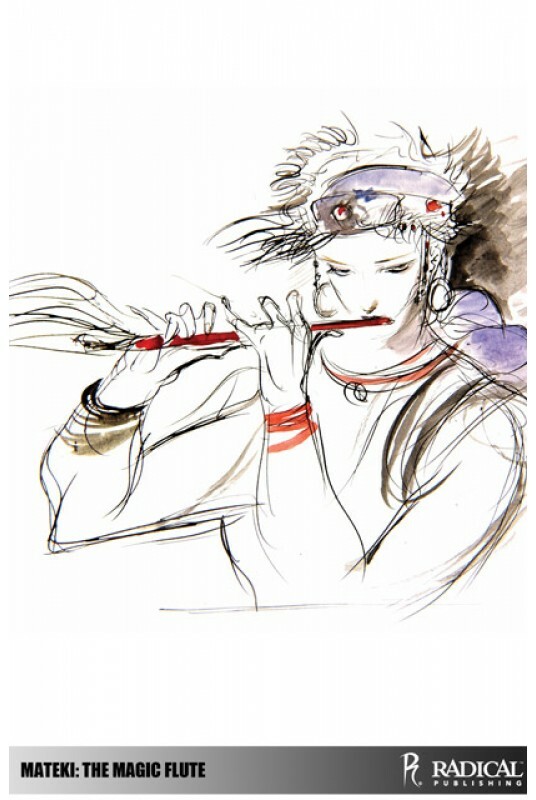 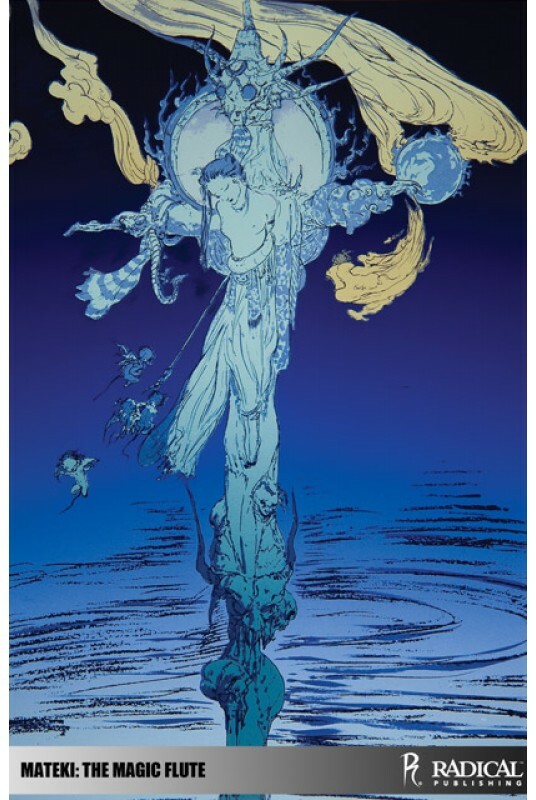 From the world’s greatest fantasy artist, Yoshitaka Amano, comes a masterful interpretation of Wolfgang Amadeus Mozart’s classic opera The Magic Flute. 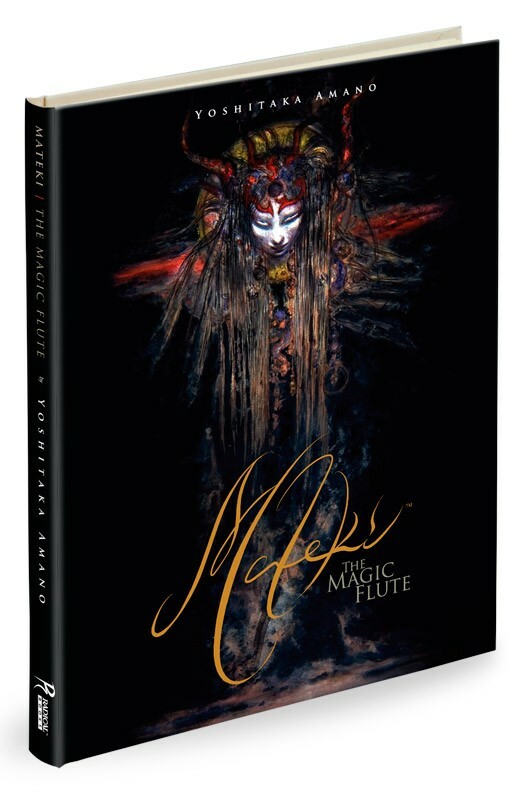 Mateki tells the beautiful and dark tale of a young man who must put away his flute and become a warrior in order to save his beloved from the lord of darkness. 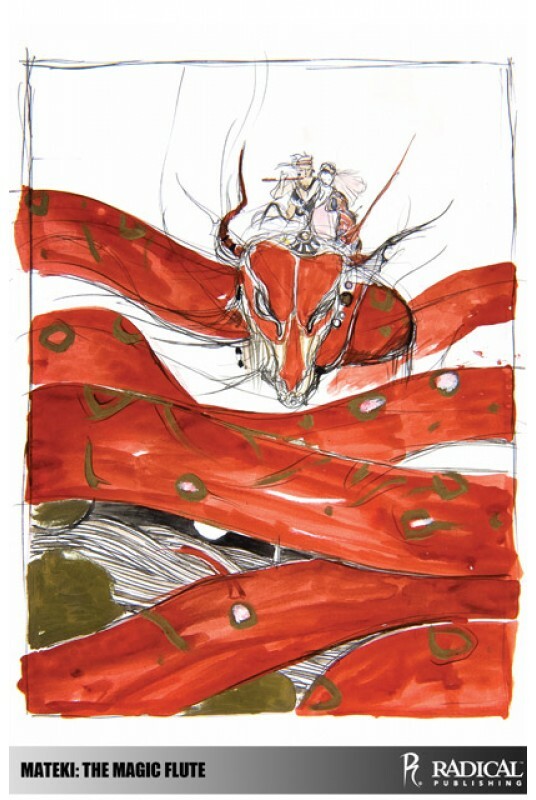 An over sized graphic novel, Mateki features a staggering 128 original full-page illustrations and artworks. 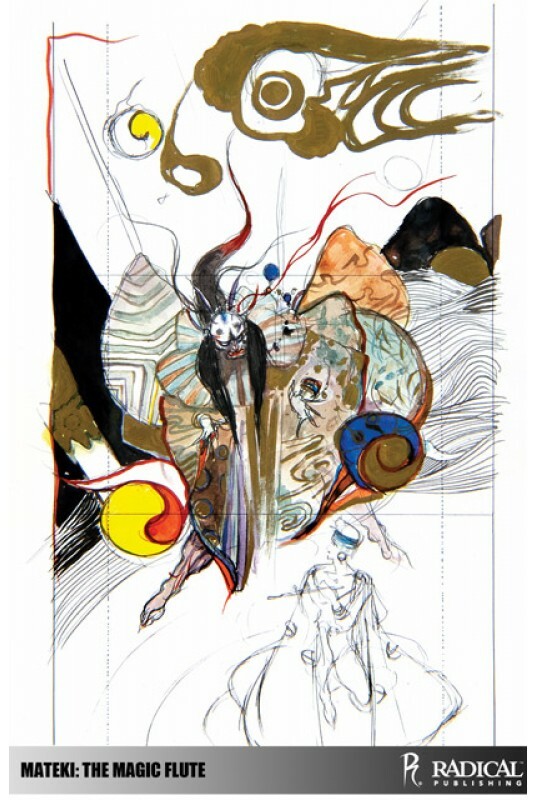 Previously released only in Japan, Radical Publishing brings forth this newly translated international edition, in English for the first time ever.